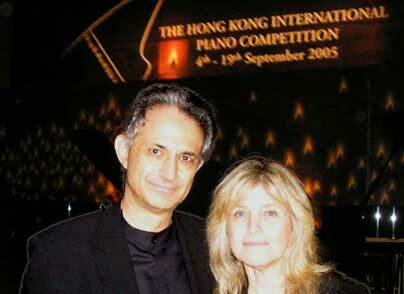 Dr Andrew Freris and Dr Anabella Levin-Freris, at the conclusion of the 1st Hong Kong International Piano Competition in September 2005. DR ANABELLA LEVIN-FRERIS is the face of the Chopin Society of Hong Kong and the Hong Kong International Piano Competition. Indefatigable is one description that aptly sums up the activity she involves herself in running the Competition and The Joy of Music Festivals. A qualified renal physician, she also serves as the Honorary Consul of Uruguay for HK and Macau, besides being the devoted wife and ever-present companion to her husband Dr Andrew Freris, who is the voice of the Society. Below is a short interview about the Chopin Society and its activities. When and how did the Chopin Society of Hong Kong come about? And why Chopin? My husband Andrew and I have always enjoyed experiencing music and been fascinated by the different “personalities” a piece of music can adopt depending on the environment in which it is produced, the approach taken by its interpreters, and the state of mind when one listens to it. = a unique and non–reproducible experience. If one adds to this the different nuances introduced, whether the music is produced (“live”) or reproduced (recorded), the range of wonders that await us takes on magical dimensions. Having had the enormous privilege of living in places as diverse as Uruguay, USA, England, Greece and Hong Kong, and repeatedly visiting many different countries, one feels humbled when faced with the culture each place has to offer. At the same time, one also feels eager to contribute, to create opportunities for each culture to be better known. The interaction of these cultures therefore introduces astronomical and cosmic variations to our formula. Some 17 years ago, we bought our home in London, which happened to be a residence where Frédéric Chopin himself performed on the 23 June 1848. 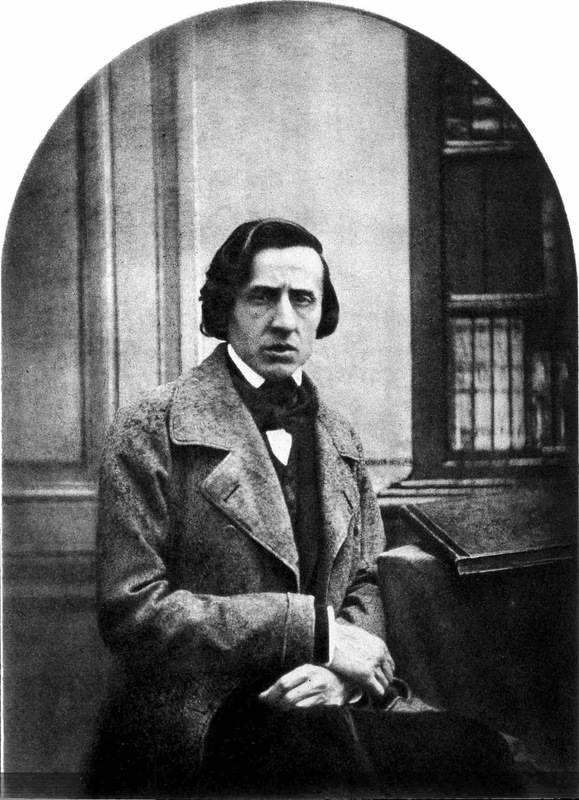 Without entering into any kind of superstitious ideas, the knowledge of Chopin having played in “own home” gave the ownership of that abode a certain special aura. That also gave us the impetus to create an organisation - the Society - which could lead to the development, enhancement and realisation of our musical formula. That was the year 1995. The stage was the world and we were anchored in Hong Kong. Artists, anybody who can contribute to enhance the experience of music either by creating it, performing it or teaching it, the audience, literally everybody interested in music could contribute to our Society. The name was obviously and simply a homage to this great composer who played in our home in London in 1848. Nothing to do with us, but definitely inspiring and … it makes a nice story, doesn’t it? The world seems like a smaller place these days. You were born in Uruguay and your husband from Greece, and you both met in London. And now you are making waves with the Society and its cultural events in Hong Kong. Is this globalisation at its most glorious? I welcome globalisation with open arms. It is a fascinating, scaring, and humbling experience, but one that allows you to step higher up to see further. I look at it as an opportunity to benefit from the output of human beings from all over the world, as a magical potion to help us to join forces and conquer our universe. Of course globalisarion has its negative aspects, but that just reinforces its validity as a true wisdom enhancer. Vladimir Ashkenazy practising the piano at the Peninsula Hotel. Tell us about the Hong Kong International Piano Competition, which thanks to the active involvement of Vladimir Ashkenazy (above) since its conception, has rapidly become one of the most important piano competitions in the Far East. How did the Society get the ever-busy world renowned pianist-conductor on board? When we started running the Society, there were two things Andrew and I had very clear in mind: one was we were starting the Society in Hong Kong, a place which has always put great emphasis in education and cultural development. So the Society had to contribute and create, alongside the existing organisations which had similar goals and preoccupations. The second thing we had in mind was that we had to learn from the interpreters, creators and teachers in Hong Kong and help in establishing links with the interpreters, creators and teachers from the rest of the world. As with any other activity taking place in the world, there is much to be learnt from each other. One of our preoccupations was to establish links with artists operating at the highest possible level, and that was why we contacted Vladimir Ashkenazy. He trusted the motives that inspired us, and agreed to be the Honorary President of the Society and the Chairman of the Jury of the Hong Kong International Piano Competition. 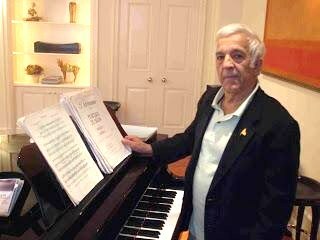 We consider it a stroke of good fortune that an artist of the calibre of Vladimir Ashkenazy had accepted our invitations. The fact that he has now become a very good friend and is entirely committed to work for the benefit of Hong Kong is another stroke of good fortune.